In this talk, I analyze the way smugglers working in the lowest ranks of the drug economy in northern Mexico engage with and manipulate the built environment. I show how, in order to move and temporarily store drugs and drug-money, they use warehouses, indigenous trade routes, clandestine landing sites, environmental reserves and other structures and pathways. By examining the nodes of connectivity forged by the narco-economy, I argue that many of the familiar routes and structures along the border live a “double life,” as sites that may have a legal façade while creating zones of storage and passage for illicit goods. Drawing on over a decade of ethnographic research in the region, I examine the way that local indigenous and non-indigenous people participate in making and reproducing the places, structures and routes that connect the US and Mexico in one of the most heavily trafficked drug corridors in the world. 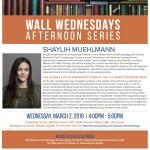 Shaylih Muehlmann is an Associate Professor in the Department of Anthropology and Canada Research Chair in Language, Culture and the Environment. Her work has focused on the relationships between environmental conflict, narco-related violence and identity in northern Mexico. 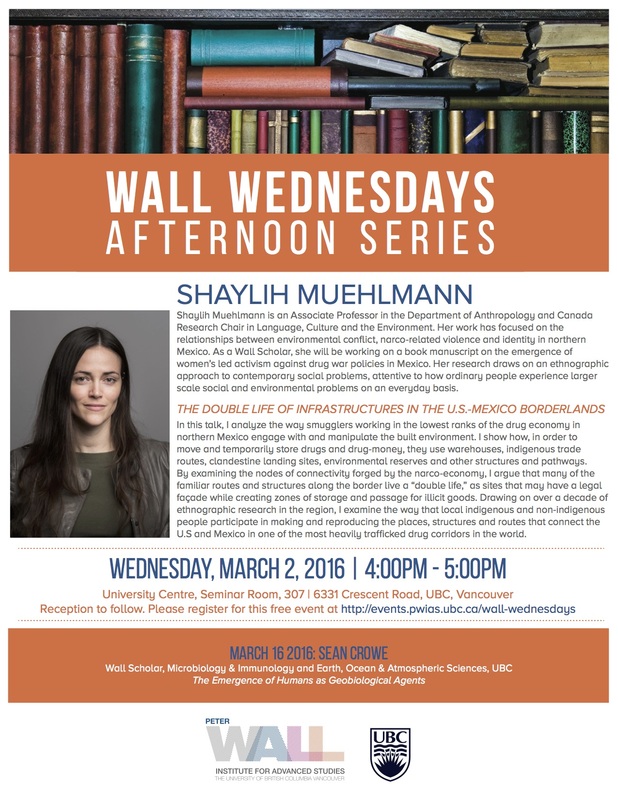 As a Wall Scholar, she will be working on a book manuscript on the emergence of women’s led activism against drug war policies in Mexico. Her research draws on an ethnographic approach to contemporary social problems, attentive to how ordinary people experience larger scale social and environmental problems on an everyday basis. Please register for this free event. Refreshments will be provided for registered guests.